In “An Anthropocene Landscape: Drainage Transformed in the English Fenland,” Jan Zalasiewicz, Mark Williams, and Dinah Smith connect the deep history of anthropogenic change to the rapidly changing conditions of the Anthropocene. Tracing changes in human activity and its effect on the geology of the English fenland, they show the long imprint of humanity on the environment. In so doing, their work suggests that reshaping the environment is not the same as effecting global changes to the environment. In this sense, their work underlines their broader research project on the Anthropocene, which argues that the Anthropocene might best be dated—at least in a geological sense—after 1945. 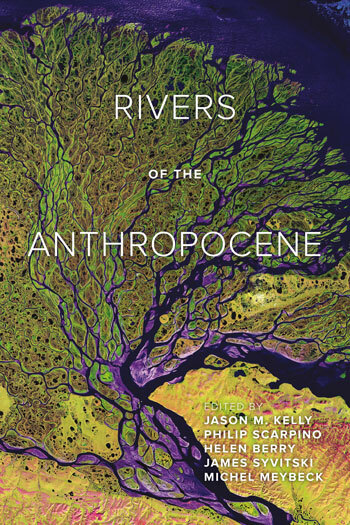 Today`s narrative on anthropogenic changes to the Earth system, the Anthropocene, has taken the discourse of anthropogenic degradation and resource use to a new, global level which provides a rich field for studies in political ecology. Against this background, I will explore how global institutions and discourses that evolved around the issue of anthropogenic global environmental changes modify the agency of stakeholders at different levels in water management, using the example of the Koga project, the first large scale irrigation scheme to become operational in the Ethiopian Blue Nile basin since the 1970s.The study will be looking at interstate relationships amongst riparians of the Nile basin under climate change - as the most prominent component of the Anthropocene - and the role of the Koga project in this context. At a national level, ministerial actors` responses to changing resource management paradigms in the form of IWRM-related policies will be described. Finally, the study will explore the effects of such changing paradigms and actor constellations on local irrigation management.